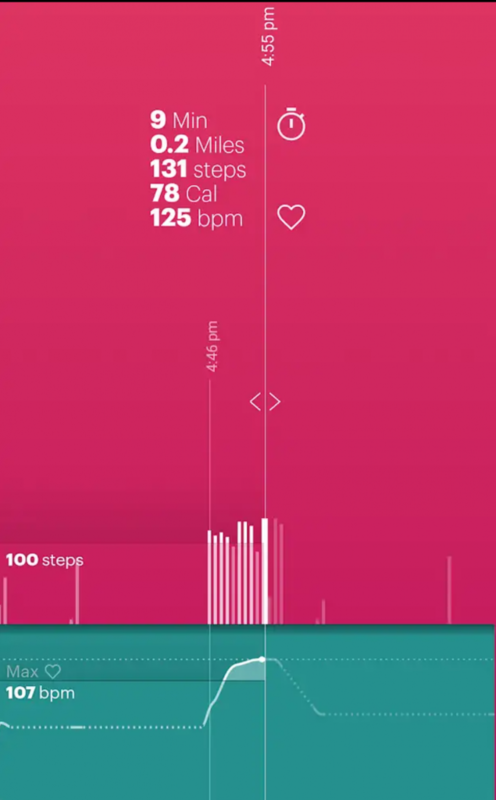 Updated Jan 2019: See our recent post on Motiv’s announcement at CES 2019, where they discuss the addition of biometric security features, using your heart rate as a way to identify you. The Motiv Smart Ring is designed to be worn day and night to motivate you to “keep living better”. It offers a sleak design and as with many of the Smart Rings on the market it looks more like a sophisticated dress ring than a Smart Ring. In this Motiv Smart Ring review we’ll focus on the features and options to help you make your buying decision. 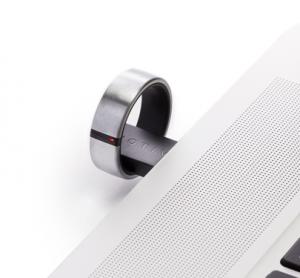 The Motiv Ring is an activity, heart rate and sleep tracker. It is designed to be worn day and night unlike some bulky fitness bands/bracelets or smart watches. The first thing that strikes you when you look at the Motiv Ring is the gorgeous titanium finish. The ring’s patented curved circuitry is wrapped in a titanium shell. This not only provides a strong casing for durability, but the brushed finish looks fantastic. You can get the ring in silver, black or rose gold – which we think are a really smart range of options. It’s doubtful that anyone would struggle to pick a favourite, and limiting the options to three simplifies manufacturing. So what does the Motiv Ring do? Well, strap yourself in, this is a long list! The Motiv Ring is a great tool if you’re a fitness buff or if you’re setting yourself the goal of being more fit and healthy. 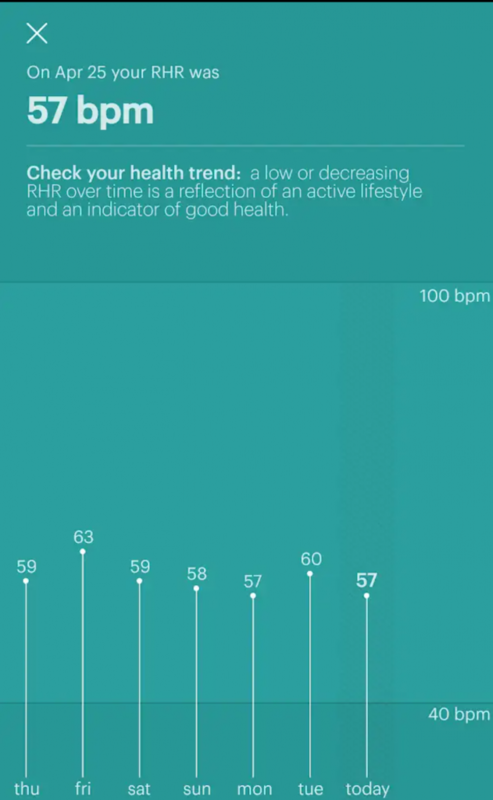 With the ability to track your heart rate, the Motiv Ring goes beyond the superficial statistics of a pedometer and can provide much more holistic health metrics. 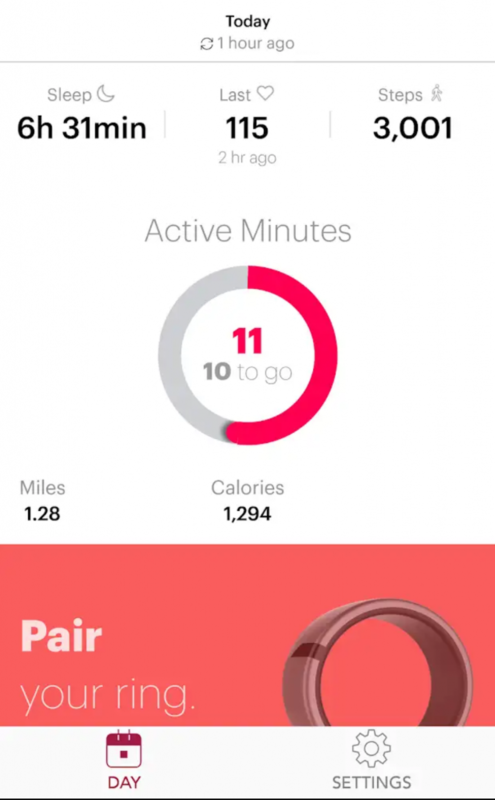 By downloading the Motiv app (on Android and iOS), you can pair your ring and then just do your exercise as normal, knowing that the lightweight titanium ring is tracking your activity. And before you ask, no, you don’t need your phone with you when you exercise. The Motiv can store up to 3 days of activity without syncing with your phone. So no more jogging with your phone in your hand, or bouncing around in your pocket. Just jog with your Motiv Ring on and you’re all set! The app allows you to track goals and your progress. Don’t like the idea of sleeping with your phone under your pillow? No, neither do I. But thanks to the Motiv Ring, you don’t need to. Just wear the ring when you sleep and the Motiv will detect when you’ve woken up. This means tracking your rest time across the week requires nothing uncomfortable, just don’t take it off and you’re done. 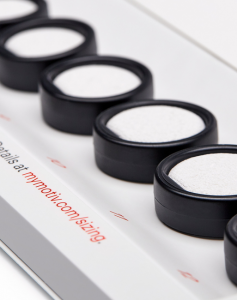 Motiv have taken a customer oriented angle when it comes to sizing. Instead of guessing your size and hoping that the ring fits, when you buy a Motiv, you get sent a sizing kit. It comes with a range of rings that you can try on, finding your ideal size. Then you can confirm the size and the actual ring will then be sent. Online security, cyber risk, cyber crime….these are terms that make some of us sweat. Up until recently, passwords have been the staple of online security. And whilst many of us use encrypted password keepers, it is still no guarantee that your login details are secure. Each week, we hear about new breaches, where corporations get hacked and our account details are exposed. Motiv has the capability to provide an additional level of security for your online profiles. The current model uses Two Factor Authentication (2FA) to achieve this. So what does that mean? Well, essentially, you can set up a connection between your Motiv account and a website such as Amazon. So that when you sign into your Amazon account, you need to gesture with your hand (see the clip below) and this is detected by the device you’re using (phone, PC or Mac) and logs you in. This means that to log into that service, even if someone has your password, they won’t be able to get in – they’ll need your Motiv Ring as well. It’s a much higher level of security. The same type of security can be used for other popular services such as Facebook and Google. We think it’s great that Motiv have enabled their users to access higher levels of security for some of the world’s most popular online services. Google, Facebook and Amazon – they don’t come much bigger. This form of authentication will work on most services that support 2FA. Check this page for a full list of these services. 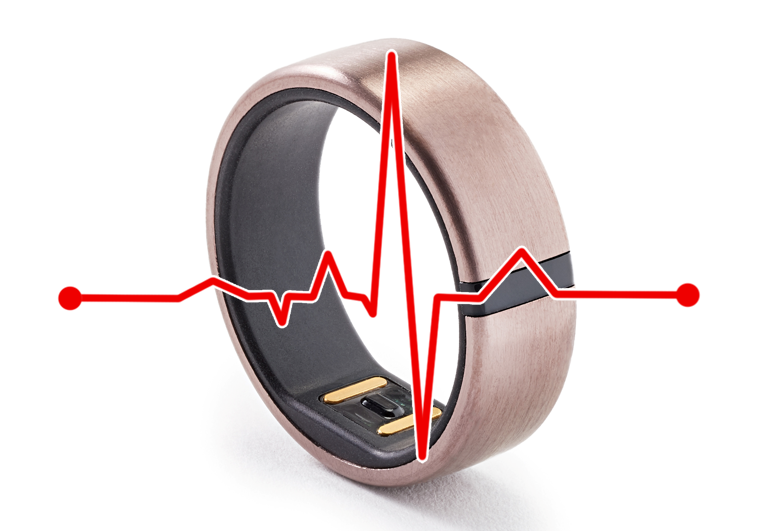 Motiv recently announced that they are looking to add biometric security to the Motiv Ring, allowing it to identify you by your unique heart beat signature. Read more about this in our post here, but in short, everyone has a unique heart beat signature, impacted by the size and position of your heart and valves. Motiv want to use that signature to be able to confirm that you are wearing the ring, before approving things such as payments. This means that the gesture security (see above) would be able to be replaced with biometric security, which is much more convenient and secure. One really appealing part of the Motiv Ring offering is the charger. It ships with a really nicely designed USB charger. The ring attaches to the charger and works with any standard USB port. It only takes 90 minutes to reach full charge, which then lasts 3 days which is really impressive and is bound to mean that owners will get a lot of value from their smart ring and have very little frustration from waiting for it to charge. There is a lot to like about the Motiv Ring. It looks great, it’s made from durable materials, it’s waterproof and has some really useful features that add convenience to your life. Fitness and security are a huge focus for so many people, add to that the 3 day charge, and this ticks enough boxes for most people. You can get the Motiv ring by clicking either of the links below. 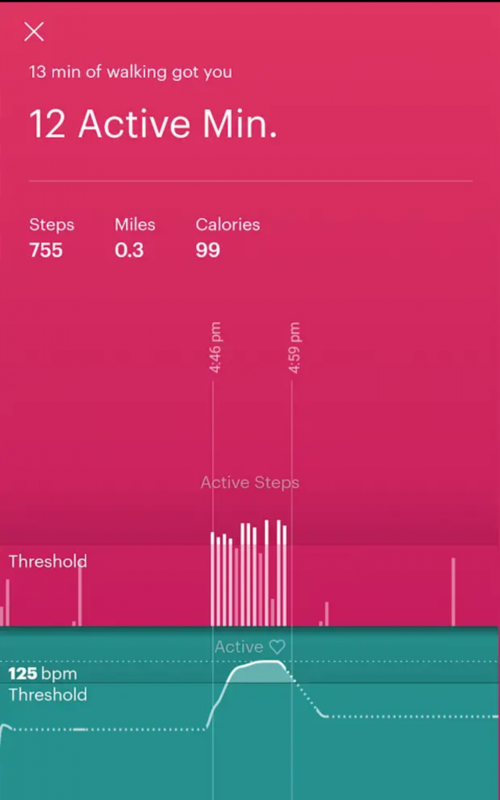 This entry was posted in Market News, Ring Reviews and tagged calories, heartbeat, Motiv, steps. Bookmark the permalink.